Last October 2011, Alan Along of the Alliance for Bases Clean Up (ABC) demonstrated Body Talk Access at a talk show program on The Filipino Channel, an international Filipino channel with over two million subscribers. Body Talk Access, is a remarkable and simple set of energy-based techniques to make health maintenance and the management of daily health challenges accessible. The Bayanihan Foundation is proud to partner with the Alliance for Bases Clean Up and sponsor Body Talk Access programs that provide immediate help to victims of unexploded bombs (UXO) and toxic wastes in the former US military installations in Clark and Subic, Philippines. Unfortunately, many UXO and toxic waste victims do not have access to basic healthcare. So Body Talk Access provides them simple and effective ways to cope with their situation, relieve stress and provide them a healthcare alternative. The Bayanihan Foundation and its partner, Alliance for Bases Clean Up sponsors Body Talk Access to hundreds of toxic waste victims in Clark and Subic. At the same time, the foundation is also conducting an education and outreach campaign seeking fairness and justice from the US to accept responsibility for the toxic wastes they left behind at their former US military bases in the Philippines. In 2009, I started looking for complementary and alternative healing modalities so that the affected communities could learn to cope with the impact of the toxic wastes left behind by the former US military bases in the Philippines. This was after a decade of coordinating the campaign for bases clean-up in the Philippines as the Executive Director of the People’s Task Force for Bases Clean-up. I used to raise funds to bring people to the government hospitals for treatment. It was always frustrating because the resources that we have were so small compared to the major illnesses that many residents suffer as a result of toxic wastes left behind. Moreover, I saw an increased dependency of many of the residents to both government and non-governmental agencies such as ours. Then Dorothy Friesen, a Body Talk practitioner, invited me to learn about Body Talk Access. Dorothy was a long time friend and former missionary to the Philippines. I found the technique to be very simple and easy to learn, although it took a lot of personal responsibility and will power to do it. 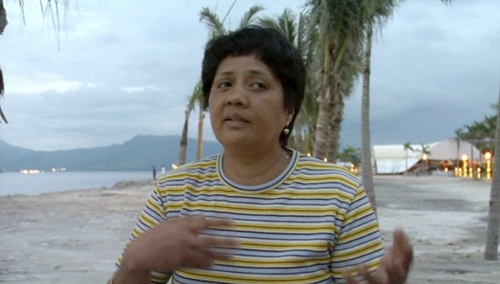 In 2009, Dorothy and I went to the Philippines and introduced Body Talk Access there. We believed that it was going to be a great contribution to many poor communities in the Philippines who cannot afford basic health care. Dorothy was committed to share her skills; she helped nurture Body Talk Access in the Philippines. Dorothy is Canadian but she is truly a Filipino at heart. She gave away scholarships to many victims of toxic wastes by teaching them Body Talk Access for free. We opened up clinics in the homes of the victims of toxic wastes. 1) I helped my sister who was having a stroke and she wanted to be brought by an ambulance to the hospital. 2) I helped my niece who had car sickness. 3) I helped an elderly patient who was choking. 4) I helped a friend who was having a difficult pregnancy and helped her cope to deliver her twins safely. 5) I helped a friend and provided relief for her chronic migraine. 6) I helped myself walk properly again after suffering from a twisted knee and many more success stories that made me believe the effectiveness of Body Talk Access. I have testimonies from hundreds of people who have received the benefit of Body Talk Access, many of whom were workers at the former US military bases in the Philippines, including residents that lived nearby. The Alliance for Bases Clean Up now have a documented body of evidence that the technique does work. I’m impressed on how what the program have achieved in serving the communities of Clark and Subic, Philippines. 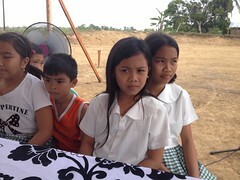 It opened up a whole new world of hope for healing and empowerment for the communities affected by toxic wastes. In the beginning, a skeptical journalist thought that Body Talk Access was just another fad, another imported modality that does not deserve media coverage. He was proven wrong. In October 2011, Alan Along, Alliance for Bases Clean Up community organizer, appeared on local Philippine TV to explain the scientific basis of the technique and demonstrated Body Talk to thousands of Filipino viewers in the Middle East, many of them overseas contract workers stationed there. Alan Along is also a Body Talk Access technician and aspiring Body Talk practitioner. In 2012, I will be back in the Philippines to organize classes for Body Talk Access and Body Talk Fundamentals. This time around, I am going back as the Organizing Director of Bayanihan Foundation Worldwide. The foundation believes in the power of Filipinos abroad helping Filipinos at home. My coming home and sharing Body Talk Access embodies that value. In 2012, Dorothy will be back with me to teach Body Talk access classes. Ben Manalo, a Filipino American, will also join us to teach Body Talk Fundamentals. The courses will be offered at greatly reduced prices so that more participants will learn a skill for a lifetime of healing. Ben came with us in 2009 and he also gave free Body Talk sessions to workers of the former US military bases there who many were exposed to asbestos and other toxic wastes while working there. After 20 years since the US military have left the Philippines, the toxic wastes left behind have not been cleared nor the US have acknowledged their responsibility of the environmental damage they left behind. Despite of it all, I feel a great sense of relief that through Body Talk Access, I have made an impact in the lives of many Filipinos, especially those who worked and lived near the US former bases in the Philippines. For more information about Body Talk Access in the Philippines, click HERE. This entry was posted in Bases clean up, Diaspora Giving, Education, Health, Philippines and tagged bases clean up, community involvement, diaspora philanthropy, Filipina workers, giving, Health. Bookmark the permalink.